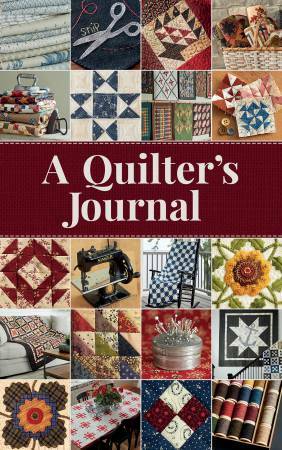 Keep more than just a journal--keep a record of your quilting life! Photographed at quilting star Lisa Bongean’s beautiful lakeside home, this inspiring week-by-week journal is packed with hundreds of photos of quilts to enjoy year-round. Answer fun prompts throughout the year, create lists for must-do quilting adventures, keep track of projects, document gift and charity quilts, or simply keep this gorgeous date book as a memory journal for future generations of quilters in your family to cherish. Perfect for weekly journaling or the new trend of bullet journaling, a quicker way to record life’s events. Beautiful, durable design comes in a take-along size for journaling on the go! 112 pages.